The Cosmopolitan, or “Cosmo,” Square Dining Table features a tapered, square base and spacious, square top. The dining table height allows for a comfortable, yet formal meal setting. The new and enhanced burner pan prevents heat cracking, eliminates discoloration, and allows for ease of assembly and maintenance. Giving you many more years of enjoyment. Our firetables create the perfect ambiance for enjoying an outdoor meal or cocktail while also keeping you warm from the evening chill. Fuel options include natural gas or self-contained propane tank (base is made with a removable door to house and easily access a propane tank inside). Handcrafted from glass fiber reinforced concrete. 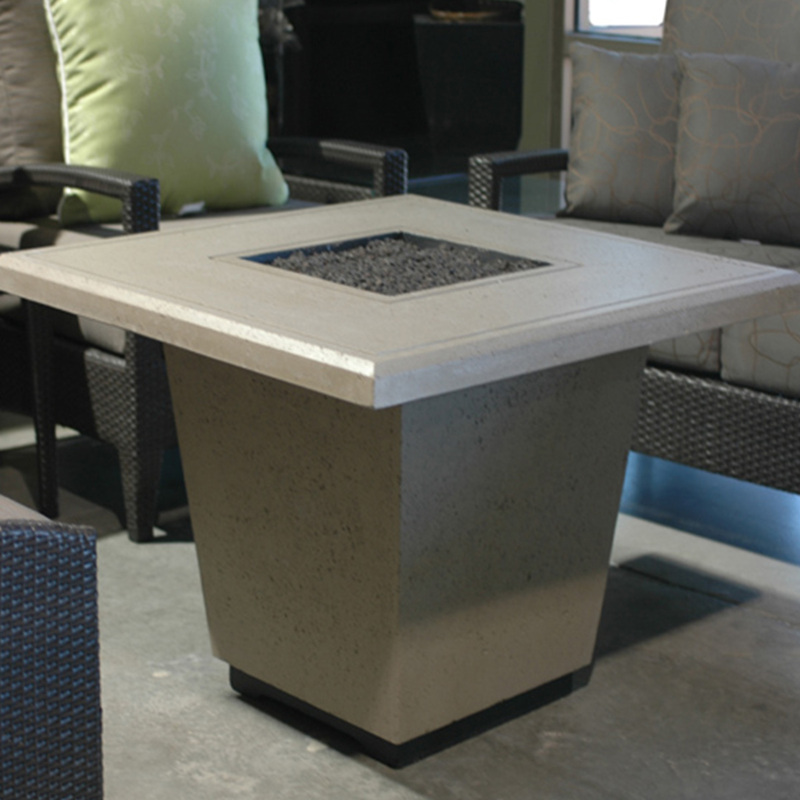 Cosmo Square Firetable is available in either chat or dining table height.